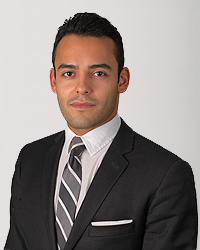 Paolo Meireles is a partner at Shavitz Law Group. Paolo represents current and former employees in unpaid overtime and discrimination matters throughout the United States. As head of the firm’s Financial Services Claims Department, Paolo has litigated employee rights class action financial sector cases against some of the nation’s largest and most sophisticated financial intuitions and banks. Paolo’s advocacy began with his work in the public sector assisting consumer debt clients with Fair Debt Collection Practices Act claims, for which he was awarded the New York City Civil Court Pro Bono Award. Paolo is an experienced employment lawyer who has recovered millions of dollars in unpaid wages on behalf of his clients. Paolo is committed to protecting workers’ rights under the Federal Fair Labor Standards Act and brings this zeal to his practice.